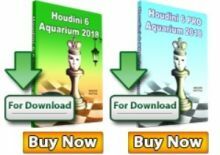 Nine days are left to the start of the World Chess Championship 2013 between the defending champion Viswanathan Anand and the challenger Magnus Carlsen. 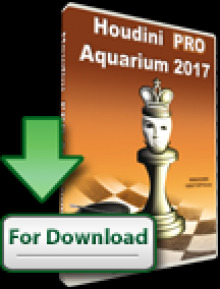 Chessdom continues the daily previews with a look at both players teams. Very often the team of seconds, i.e. the professional chess players helping for match and individual game preparation during a World Chess Championship, has played a major role in an outcome of a battle. 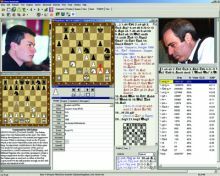 The battle of seconds was getting to epic levels in the 80′s and 90′s, where a team of analysts could reach 50+ people, Grandmasters or International Masters, highly specialized in a certain opening or game element. Now with computers and 3000 + ELO monsters , the need for so many players is obsolete. The pattern is to aim for a dynamic, compact team, that can decode the opponent’s abilities and weaknesses, and dedicate some sleepless nights to find the subtle element that can turn the match around. Interestingly, Anand has acknowledged himself in interview for Indian media that Carlsen has been part of his team of seconds in the past. “He had already helped me before, in Bonn and Mexico. Very few people can simulate a real tournament situation like Magnus can. We played a lot of blitz, and I felt good, because I was able to test a lot of areas I was unfamiliar with before. With Magnus you can test any position, because he can play almost any position,” Anand said in praise of the youngster. But things have changed since then and now Anand and Carlsen will face each other on the board. Although surrounded by the usual speculation, some team members and some substitutions are certain in both camps. The current champion Viswanathan Anand has had a stable team for the past several championships – Peter Heine Nielsen, Rustam Kasimdzhanov, Surya Ganguly and Radoslaw Wojtaszek. This brought him the titles in Bonn, Sofia, and Moscow. However, with India WCC on the horizon, things started changing. 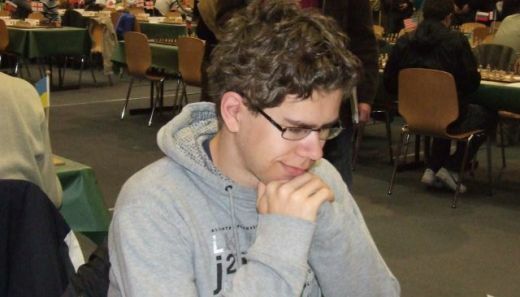 The Danish chess player Peter Heine Nielsen will not be on Anand’s team, as he was helper of Magnus Carlsen during the Candidates tournament. As Nielsen felt moral obligation to both players, he decided to stay out of the match. Rustam Kasimdzhanov, who is well known for bringing chess success as coach both on individual level and team level (for example Germany in 2011) has decided to take a break saying, “I think three World championship matches are enough for me, I deserved some rest”. Ganguly and Wojtaszek both will continue on Anand’s team. They seem to have coordinated schedule with Anand – Ganguly participated in the strong Indonesia Open and Wojtaszek was spotted at the Russian Championship, while at the same time Anand said he is having a “relaxed schedule” before the final preparation. Another team member was confirmed for Anand recently. 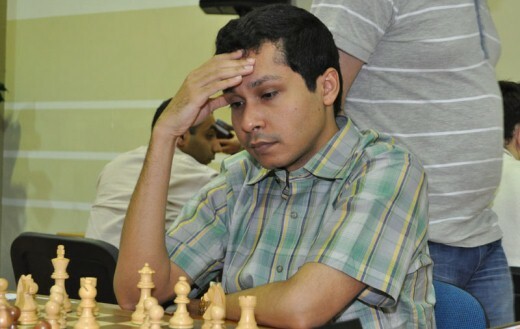 It is GM Sandipan Chanda, who was also seen to follow Anand’s schedule and participated in Indonesia Open. He was part of a special camp of Anand in Germany together with Ganguly and several unrevealed Grandmasters. With this the facts around the seconds of Anand are complete. However, days before the World Championship rumors abound the chess circles. Many say that the Italian Grandmaster Fabiano Caruana has been spotted much too often with Anand during the Tal Memorial 2013. Given the importance of the match, names as Kramnik or Giri have also surfaced, but without any plausible confirmation yet. Carlsen’s seconds for the World Chess Championship 2013 are even more difficult to be decoded. The Norwegian has only one certain second, and this is his good friend Jon Ludvig Hammer. Kasparov has openly offered help to Carlsen, but given the fast development of chess it is very improbable Carlsen to accept. From that point on, Carlsen’s list of seconds is surrounded by mystery. But while Anand is very loyal to his team members that brought him success in the past, Carlsen is likely to try to find something new and exciting to surprise the current World Champion.